All of our products are use Teak wood material for the main material in processing qualified chess products. Why Teak wood? We choose Teak wood as our main material because the Teak wod is the only strongest wood in any weathers. Teak wood is durable in any seasons and free from insect againts. While, the wood chess pieces are more valuable than others material. 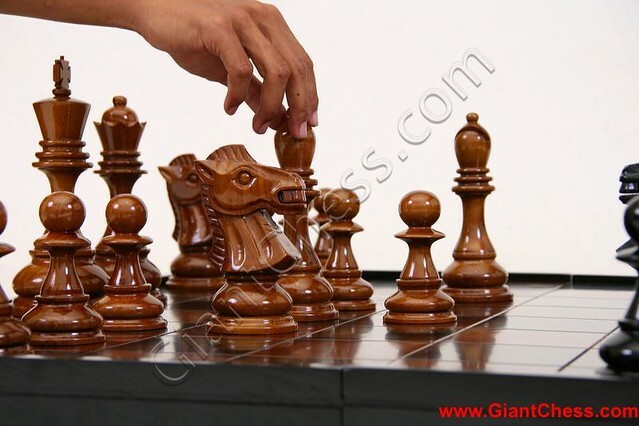 The wood chess pieces is handmade product which carved by talented craftsman. It more unique with the chess detail and finished in gloss and smooth. Those are the red chess pieces set which common categorized in color chess collection. The red chess set can againts the white or black chess set for chess game. The red looks more brightful while stand on squares chess board and will give a new atmosphere in the game. Designed in standard size, those chess pieces are suitable for indoor chess game and played in living room, library, office, or patio area if it possible. 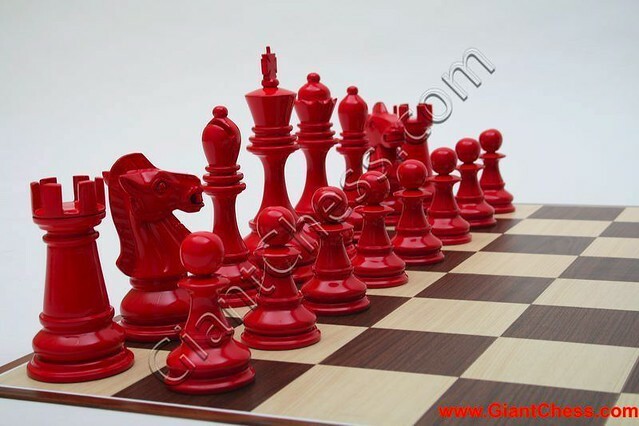 Red chess pieces set has made of Teak wood material. Carved by talented craftsman and polished in bright red, make those chess pieces more interesting to collected. Meanwhile, those red chess pieces are perfect also for house decoration need. Chess lovers are like to collect this kind of chess pieces.